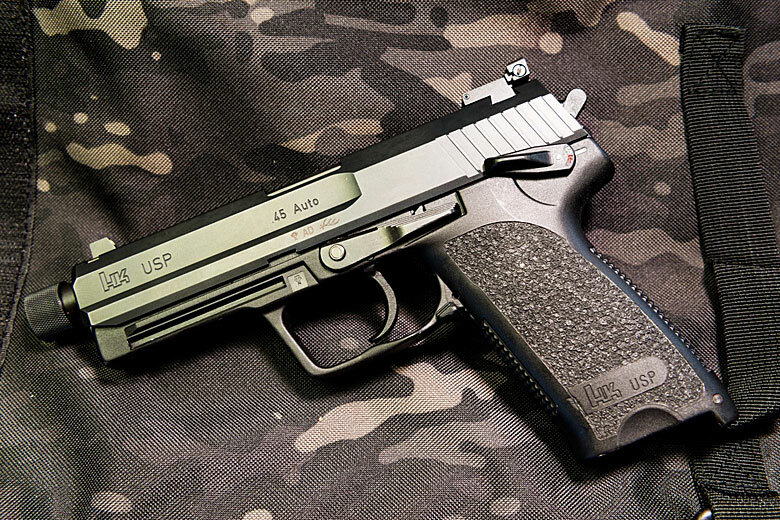 When it comes to pistols, we’re living in a striker-fired world. At least that’s the conclusion you’d rightly arrive at if you examined the holsters of shooters just about anywhere in America today. 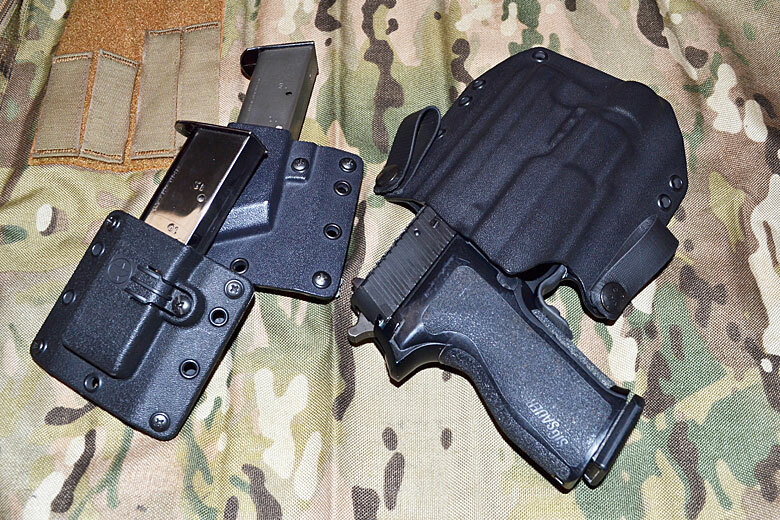 From the nightstands of prepared citizens to the duty rigs of Law Enforcement and finally, the warbelts of our Soldiers and Marines, the striker-fired pistol reigns supreme. Considered by a host of experts to offer the best possible combination of simplicity, good shooting characteristics and mechanical robustness, these pistols are the current paradigm in pistol design and rightly so. Though today we’ll be discussing why TDA pistols (traditional double-action) might be on the rise. Hammer-fired guns refuse to fade away. Lately, I’ve observed a small but significant jump in interest and carry of traditional double-action semi-autos among civilians. That’s interesting to me, as in our current gun culture, remorseless “improvement” and the fabulous new seem to be holding sway over the assembled masses. Any enhancement, new pistol, or modification that’s lighter, faster, more refined or promises to reduce the workload of the shooter is hungrily adopted after brief (if any) stress testing. So why the resurgence of a pistol action that’s been around since the late 1920’s? What reasons might a shooter have for choosing a pistol whose mechanism has been superseded by a more efficient design? More importantly, are they good reasons? 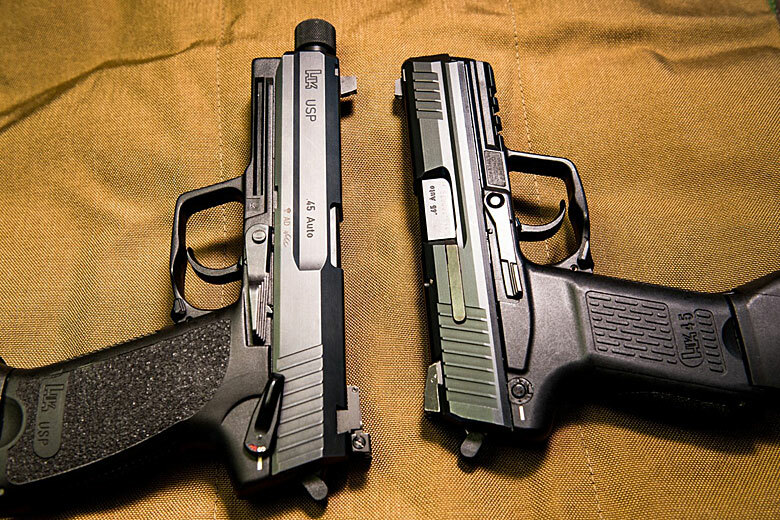 I say yes, there are good, valid reasons for choosing a traditional double-action (TDA) pistol in the era of the striker and in this article I’ll make my case for them and why I think they’re seeing a renaissance even among serious shooters. Relax, I’m not going to go too far into the weeds here, as most of you will have heard pistol selection discussed in endless detail here on ITS and elsewhere. However, I am going to spill a little ink in the interest of parsing out the nuances of whether a pistol or action is worthy or inadequate. For the purposes of our chat today, when discussing the merits of a given pistol or feature, I’m considering it in the context of a gun intended for self-defense for an armed citizen first. While much of the criteria I care about for mechanical function also applies more or less equally to Military or Police service pistols, there are enormous additional factors for large agencies and organizations to consider when issuing any new service pistol. Things like qualifying a large number of personnel on a given weapon, training armorers to service the fleet of newly-issued pistols, stocking parts for ongoing maintenance and so on. I won’t even crack the seal on departmental and agency criteria for minimizing liability. In short, I’m not attempting to make a case for TDA pistols at an agency or on a department level. There might be a good case for them, but that’s out of my lane. I assert that all pistols for defensive use will have a few crucial characteristics in common. First among these traits is mechanical reliability; if the gun cannot be counted on to fire, all other traits are meaningless. After that, adequate caliber is important, as well as enough accuracy to consistently strike the target with a fair degree of precision if the shooter does their part. Capacity should also be given ample consideration. While the statistical majority of defensive shootings are concluded within a handful of shots, each round your pistol carries is an opportunity to solve a problem before a reload is required. With that, we’ve come to the essential question at last. There are many TDA pistols, both legacy and newer designs, which possess all of the above characteristics in abundance. So is the action (the way the trigger behaves) reason enough not to choose one? Additionally, is there anything gained by the way the trigger behaves? Now that we’re on the same sheet of music, we can dig into it. Let’s get the common complaints out of the way first. Most of the cons offered by detractors (and also by honest assessors) of TDA pistols are well codified and some have more merit than others. The crux of the critique centers around practical accuracy in one form or another and goes something like this, the long DA pull of the first shot is too long, too heavy, too slow and too doggone hard to manage to produce anything approaching accuracy. As a corollary to that, learning two distinct trigger pulls requires too much mental bandwidth and training time to achieve proficiency and that further reduces efficiency. The other common ding is the fact that, in order to run the pistol optimally and safely, it must be decocked when the immediate need to shoot has passed. For example, when coming off target, preparing to reholster, moving, etc. This is tallied as another strike in the “too complicated” column and hot on its heels will be an admonishment about fine motor skills degrading too much to fiddle with those little controls and other such bullhonkery. This boils down to an assertion that TDA pistols are too complex, will get you killed in the streets and aren’t worth the investment of any additional training to use, compared to a striker-fired pistol. I’ll unpack the first assertion because it has some teeth. The second, I’ll execute and then salt the earth where it’s buried. Simply put, with all things equal, TDA pistols require more training up front to achieve proficiency with. The double-action pull must be given deliberate practice. How much more? It’s hard to say with any scientific precision and it’s tough to hang a percentage or round count on such metrics. In my experience, proper instruction specifically tooled for running TDA pistols magically turns this purported learning cliff into a mild learning curve. Compared to a striker-fired gun with a consistent trigger, TDA pistols indeed take a little more work to shoot well, no doubt about it. It’s my experience that the hiccups start with how a shooter is pulling the trigger on a DA stroke, not the weight, length or travel of the trigger itself. There are good triggers and bad triggers, so while a too-heavy DA trigger is an impediment, most quality TDA pistols have perfectly serviceable stock triggers that are easily managed once proper (strong) grip and trigger manipulation technique is learned. Arguing that the decocker is too difficult to utilize on account of fine motor skill degradation is a slippery slope. Fine motor skill degradation does indeed occur under stress, but its onset does not preclude the use of the fingers. If that were so, how are we able to pull triggers and do so effectively? There’s no more finely controlled movement needed for success and shooters somehow manage it all the time. That argument simply does not pass muster. Is it fair to say that TDA pistols are more complicated than your typical striker-fired pistols? Yes. Is it fair to assert that alone may make it a poor choice for some? Sure. Is it fair to fair to assert that TDA pistols are so inherently complicated as to preclude selecting them for a defensive piece based solely on their action? No. With that being said, what do TDA pistols offer the modern shooter? Firstly, while this is bound to rustle some jimmies, the long initial pull of a hammer-down TDA pistol is an inherent safety feature and one that’s active regardless of the presence of a manual safety. In the event a wayward finger or foreign object enters the trigger guard, there’s significantly more pressure that must be applied over a longer length of travel to drop the hammer. This is viewed as a fringe benefit by some shooters and I get that. I maintain that this longer pull is more forgiving under the same circumstances that might result in an ND with a striker gun. I’m not advocating that TDA pistols somehow prevent negligent discharges. No pistol is idiot-proof and as soon as they make one someone will come along and prove to be a better idiot. No trigger mechanism will stop certain incidents, but a double-action trigger will stop some that could result in bang on a gun with a shorter, lighter pull. I can hear some people now proclaiming that they’re well trained, well practiced and never ever let their finger go inside the trigger guard until they decide to fire. I believe you. The sad fact though is that you’re human, make mistakes and run afoul of conditions that may not be entirely your fault. 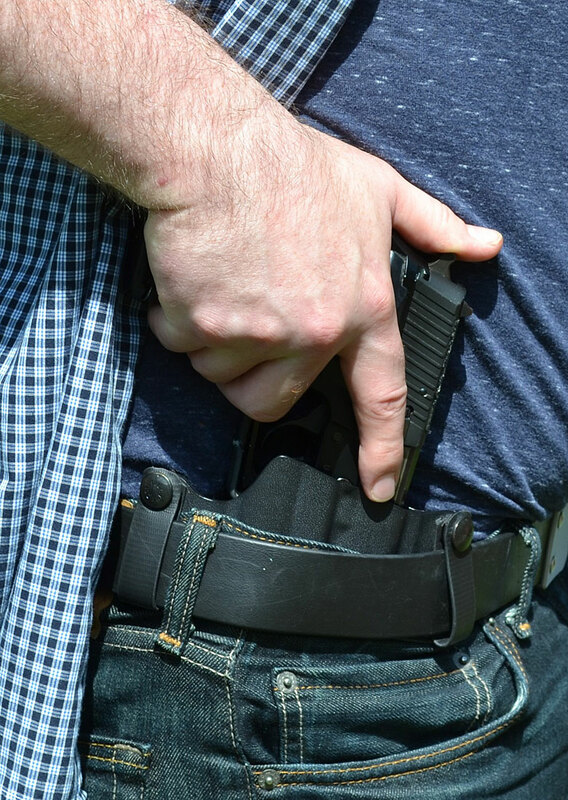 This could be severe stress or fatigue frying your brain and leading you to “pre-position” your finger on the trigger, or simply debris or fabric in your holster impinging on the trigger itself. In conjunction with the ability to physically restrain movement of the hammer with the shooting hand thumb when holstering, TDA pistol design amounts to significantly more confidence and safety against those occurrences. I believe that this characteristic is the primary reason for the resurgence of TDA guns, especially as appendix carry has come back into widespread acceptance. (By the way, it isn’t new or revolutionary.) The proximity of the muzzle to, “critical anatomical targets” on the carrier’s body and the higher stakes should an ND occur when drawing or reholstering has seen more than a small percentage of shooters turning to a TDA pistol for added peace of mind and confidence. Before you blast my brakes off in the comments, I’m not claiming appendix carry is unsafe, only that for some the added insurance of the long pull makes sense when carrying there. The other major and to TDA adherents, the obvious advantage to these guns is the nice, short, crisp single action press on subsequent shots, making fast and precise shooting simple. In my humble opinion, it’s the rare stock striker gun trigger that can compete with even a decent single-action pull on a TDA. Even light tuning of the action on a TDA can produce an excellent trigger well suited to shooting fast and accurately with no loss of other positive characteristics. As mentioned above, there are many pistols that meet all essential requirements for a defensive pistol and just so happen to be double-action. Some legacy designs like 3rd generation Smith & Wesson autos and Beretta M9/92 series pistols get little love and much grief thanks to their clunky slide mounted safeties that are notorious for being tricky to actuate and worse, getting switched back on when running the slide. That’s a fair criticism, but both are reliable, accurate pistols that are available in decocker-only variants, simplifying their manual of arms and completely eliminating what many see as their biggest flaw. Beretta also produces the PX4 Storm series, which thanks to the efforts of double-action disciple Ernest Langdon are finally getting recognition as refined, dependable and thoroughly modern polymer TDA pistols. Classic SIG P-series pistols, especially ones of German manufacture were long the standard for no-frills, accurate, hard-running TDA guns and are excellent pistols in all respects. 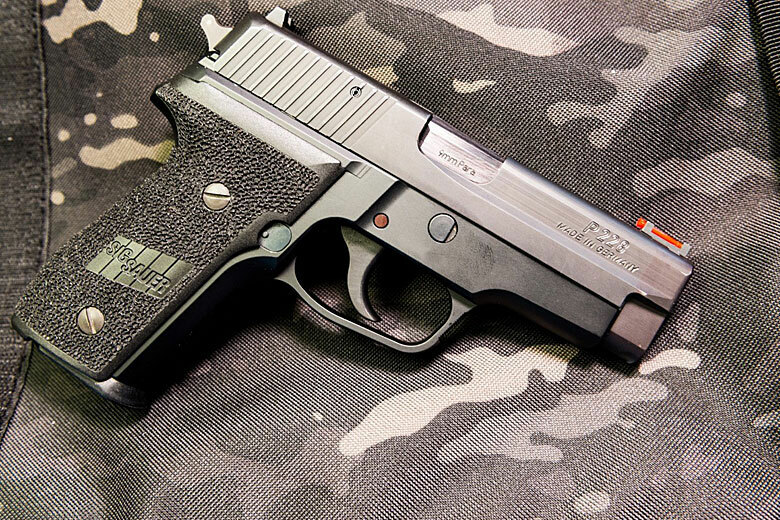 This intrepid author has long used a P226R as his daily carry, competition and training pistol and I shoot it well enough that I’ll stick with it until it will shoot no more. I do acknowledge though that the American-manufactured SIG’s have for some time been a shadow of their former glory, owing to some questionable corporate decision making at SIG HQ, which lead to spotty QA and QC at the factory. Caveat emptor. CZ makes criminally underrated TDA pistols, the P-07 and P-09 polymer framed guns first among them. Both have strong followings today. Their famous CZ-75, itself an inspired riff on the Browning Hi-Power, spawned a host of its own imitators across half of Europe and Asia. One of the best of which is the Swiss Sphinx line of pistols, which feature all the perks of the vaunted CZ design married to impeccable Swiss quality. In closing, I believe TDA pistols remain viable and even ideal choices for some shooters. I’m not suggesting they’re a universal best fit for all shooters or suggesting that striker-fired pistols are lacking in any essential way. Technologically, striker fired is the clear and obvious way forward from here, but hammer-fired guns are in no way obsolete. Ultimately, it’s training and skill, not brand or type of pistol, that makes the difference in the outcome; whether on the street or on the range. A shooter who’s trained and practiced correctly with a traditional double action pistol has no practical disadvantage over a pistol of any other type. I assert that some of the unique characteristics inherent to pistols of this type are best suited to handling, carry and use of handguns as a whole, not just for shooting. The post TDA Pistols On the Rise? Why We’re Seeing a Return of Traditional Double Action Pistols appeared first on ITS Tactical.